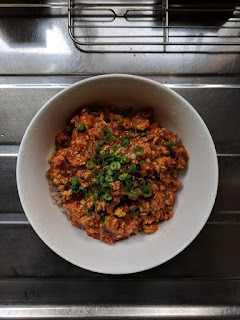 I love to cook donburi. "Ricebowls" are very easy to make and usually are not very expensive to cook. 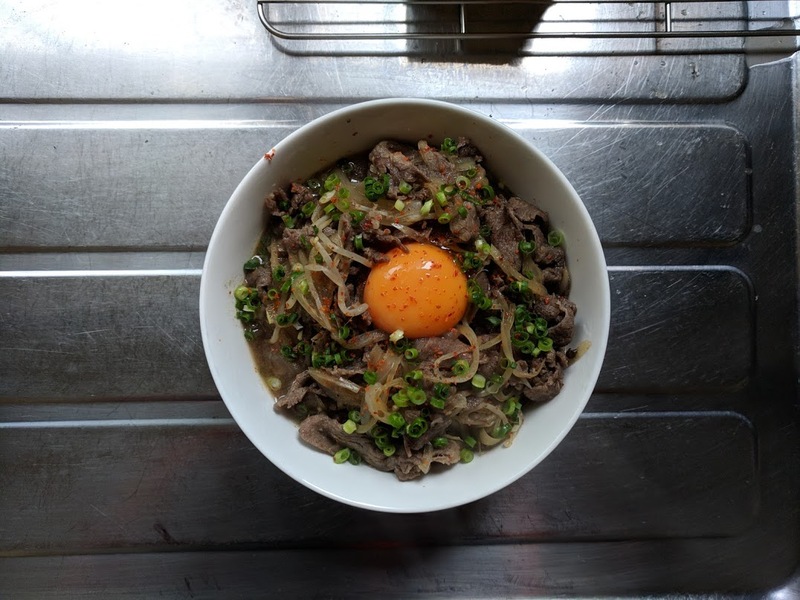 I am very creative when it comes to making my donburi at home. I use American tastes for inspiration to create new donburi. 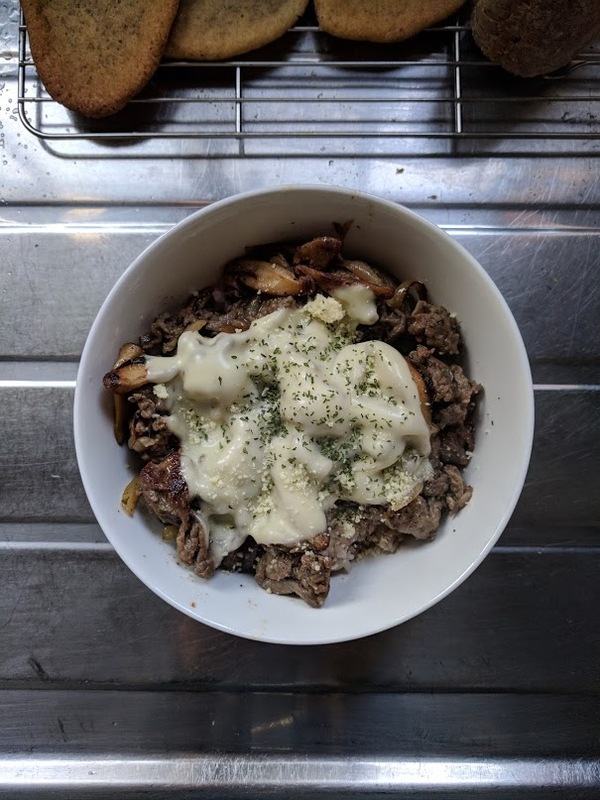 What do you think of my donburi? This is my tan-tan donburi. I made a sauce for tan-tan men, but I used it on top of my rice. 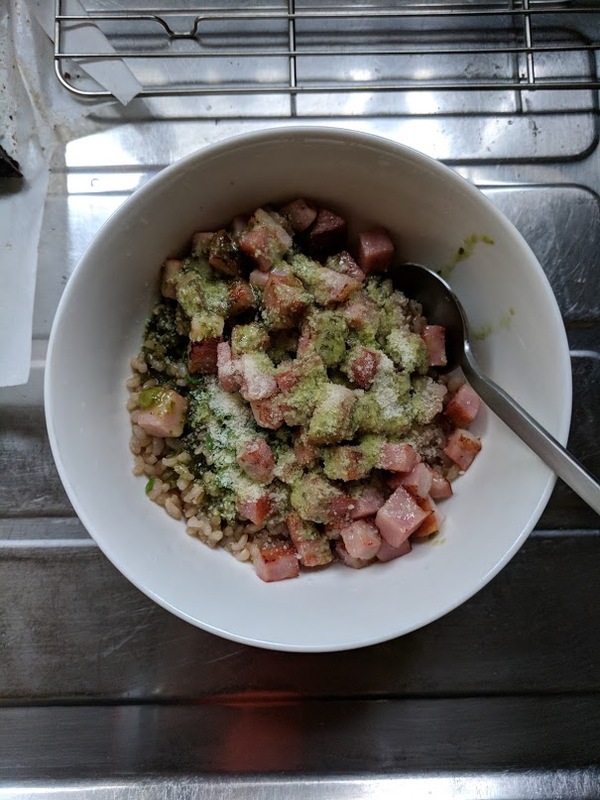 This is the pesto and ham donburi. I used pesto sauce, which is made from basil and ham that I fried. It was very delicious. This was the best one. It is a Philadelphia Cheese Steak donburi! I cooked onions and shiitake mushrooms until light brown, then add sliced steak and cheese. 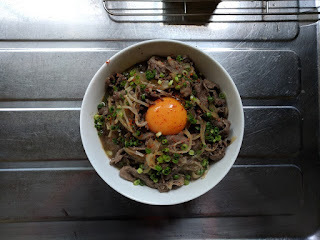 This is my gyudon. It is the normal style. I used brown rice for this bowl. 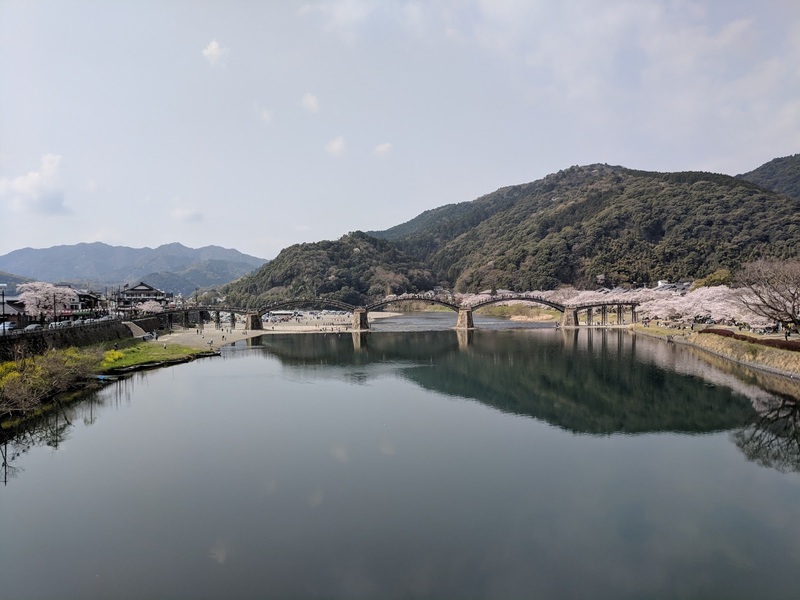 Taken from the bridge across from Kintaikyo. 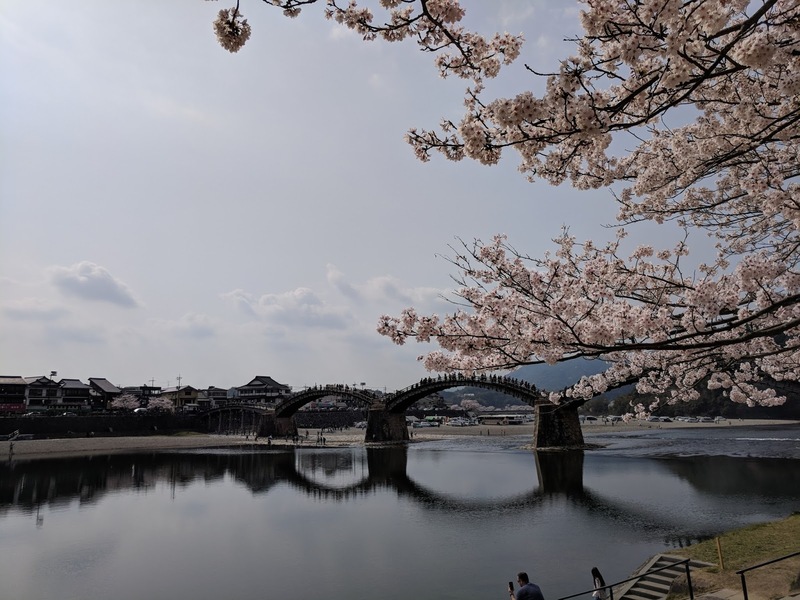 Last weekend I ventured out to Iwakuni to see the cherry blossoms. It was amazing! 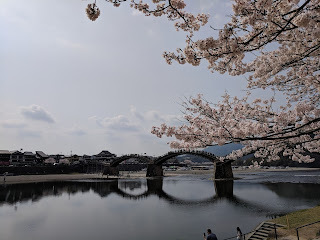 The weather was fantastic and the cherry blossoms were at FULL BLOOM! There were also many food stands around the river. I ate udon and watched the river flow gracefully. It was great. Observing the cherry blossoms made me think about why they are so special. Their short life and great beauty is precious. It is also a sign of the end of winter and the beginning of warmer weather. I also went to Yanai to enjoy bread from Grand Maman Bakery. It was delicious! I ate red bean paste bread and melon bread.